In a challenging global, industrial marketplace community fishermen struggle to compete. To better their odds, some are turning to flash-freezing to preserve their catch. However, consumers continue to assume that fresh fish is higher quality and, in some cases, more local despite the fact that it may have spent days degrading at the seafood counter. 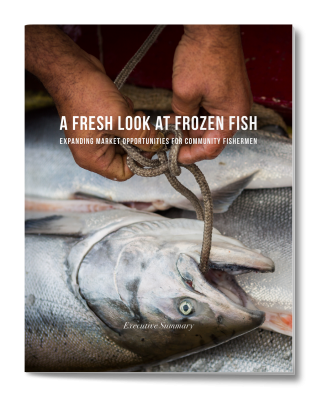 This study conducted by Ecotrust, the Oregon State University Food Innovation Center, and Seafood Analytics compared the taste and quality of fresh versus frozen fish.